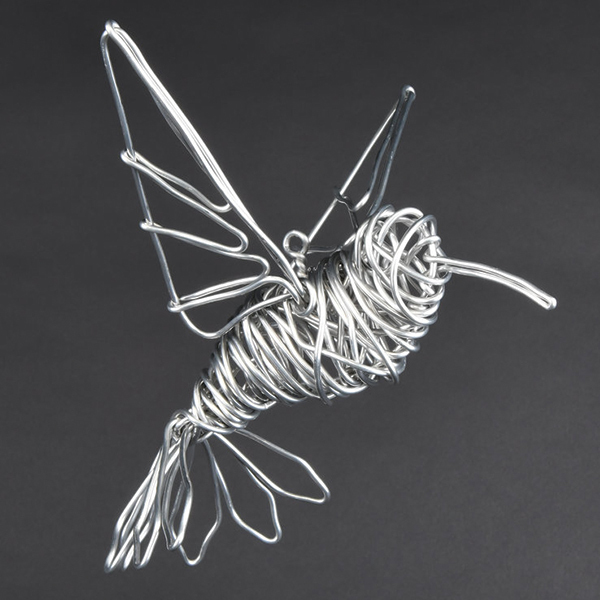 (Maryland) Started in 2013 by artist Devin Mack, as a evolution from his previous business Mackwire, Drawn Metal Studios is a full service wire sculpture studio. Specializing in figurative sculptures of all sizes. Traditionally wire is manufactured by a process known as drawing. Where a heavy chunk of metal is pulled -or drawn- through progressively smaller dies until it becomes thin and malleable. In a similar manner, over many years, Devin's innovative self-taught techniques have been drawn out and refined. With over a decade of experience Drawn Metal Studios is ready to see your sculptural needs come to life. Whether it's a small whimsical gift for someone special, a custom wholesale line for a shop or gallery, or a monumental sculpture for a business or garden, we can work with anyone. Available at our Oakland and Burlingame locations.